Many of you have been wondering - where's Wayne and what has he been up to for the past 3 months? Well, I've been spending time at the University of Washington in the department of Computer Science and Engineering (CSE). Earlier this Fall, I took a Visiting Faculty position at the UW. I've been teaching CSE 403 (the senior level software engineering course) and doing some research along the way. I'll be here for about a year. This has been a great experience thus far. It's a chance to work with some of the best computer scientists in the world, teach at a great academic institution, and engage with really awesome students. It's a road previously traveled - I did a similar stint in 2001-2002, also at the University of Washington. Further, I wanted students to know more about startups and entrepreneurship. 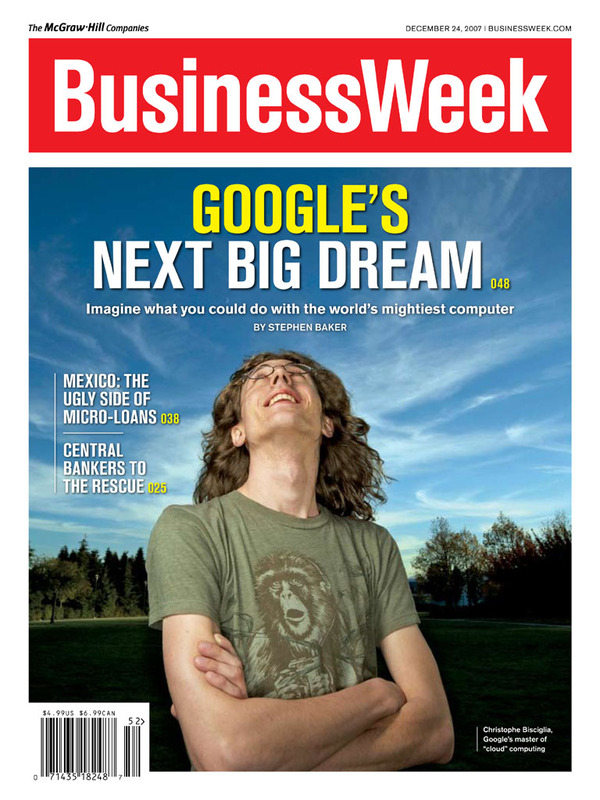 My experience recruiting at the UW was that computer science graduates were exposed to a lot of opportunities at great big companies (the Googles, Facebooks, Amazons, and Microsofts of the world) but not so much exposure to the world of smaller companies and starting up. I ran a successful seminar in front the UW Industrial Affiliates meeting in October: Great companies from both the Bay Area and Seattle presented and I helped widen the "opportunity pipeline" between students and industry. I'll try to run this program again next year. BTW, the UW CSE Industrial Affiliates program is a great way to engage with the department, especially if you are a startup. One of the best benefits is the opportunity to recruit great students from a top computer science program. Only Berkeley, Stanford, MIT, and CMU rival the UW in my humble opinion. So how did class go? What knowledge did I impart on students? Well, here's my summary of the experience. And, if you want to see the course curriculum, check out this site. Overall, my approach was a little different than the past. My goal to was to bring "real world" knowledge and experience into the classroom - stuff that students don't necessarily get from their typical academic experience. It was a great quarter working with great students. Last, it's been great reconnecting with some "old (as in people I've known a long time)" friends -- Ed, Hank, David, Gatano, Simon and meet some really great "new" faculty -- Magda, Steve, Luis. Flip Flopper? Yes. But Why? 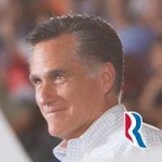 Based on positions taken, it's clear where Mr. Romney stands, today. However, such positions are very different from his positions in the past. I'm guessing they may be different than those in the future. Is he just another politician, speaking whatever is currently convenient? A man who can't make up his mind? Is he irrational? Or perhaps, a rational flip flopper? I say no to all of the above. I've looked to his LinkedIn profile for a clue. A Harvard MBA. A consultant during the hey day of being a consultant. A consultant turned CEO. All great credentials. I've worked with the best of the best consultants. I've worked with great CEOs. I've even worked with consultants turned CEOs. He's one of them. After discounting all the other reasons why we know so little about Romney's convictions and values, I've realized there is one explanation -- he's a consultant at his core. A consultant turned CEO. And, if elected, I think he'll be a consultant turned President. See, many consultants rarely have convictions of their own. And, they lack imagination. They have a goal or problem to solve. Employing tactics of gathering smart experts and opinions, diving into the problem, applying methodologies of their firm, consultants "get to to the bottom of the problem and find a solution." Or, maybe just telling the client what the client wants to hear. Cynically or real, the joke most often told by a consultant seems to be, "My job is to look at a client's watch and tell him (her) what time it is." Rarely, it seems, that consultants have opinions of their own. And, even less common, do they formulate imaginative, creative solutions. Rarely do personal values or convictions enter the equation. Consultants-turned-CEOs often employ the same strategies. Such CEO's rely on the success of their past. They use the consultant's methodology to solving problems. And, oftentimes they create a complete disaster or fail to turn around a company because of the lack of imagination or personal insight. Is this the real Mitt Romney? A consultant-turned-Presidential candidate? His resume certainly points to this. Sure, proponents point to his business leadership as qualifications for the Presidency. If you want a consultant in the White House, maybe this makes sense. If you want a President with convictions and ideas of his own, maybe not. And, if you are searching for core values, I'm guessing you won't find them. That's by design. Throughout the 2012 Presidential campaign, Mitt Romney has been accused of being a "flip flopper." He seems to have changed his position on many key issues: health care, abortion rights, immigration. Many, supporters and detractors alike, have come to question what he stands for. Does he stand for anything? (My analysis of the root source of his convictions is coming in a future blog post. Stay tuned.) People, especially politicians, who changes positions (in fact positions that seem to be 180 degrees apart), are often labeled, pejoratively, as "Flip Floppers." "Flip Floppers" seemingly holds contradictory positions or, in a temporal context, currently believe and support ideas that they opposed in the past. George H. W. Bush, George Bush, John McCain, Sarah Palin (remember the "Bridge to Nowhere? "), and of course Mitt Romney come to mind. 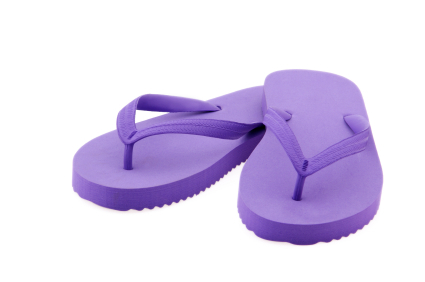 To be fair, Barack Obama (on gay marriage) does not escape the scourge of being a Flip Flopper. Flip Floppers have a bad name. After all, how can you trust someone whose position is often changing? I myself have looked critically and pejoratively at Flip Floppers. I'm a believer in logic, math and science. Consistency is an important value and artifact of this believe system. Illogical and inconsistent argumentation are easily discounted. It's easy to rationalize such inconsistencies in the "Real World," however. Premises are often times unclearly stated. The language (say English) to build an argument is probably inherently ambiguous and fails to express precise meaning. Hence, formal logic is often too brittle to express how we must reason about the real world. While still clinging to the value of logic, science, and math, I must concede -- the rigidity of such systems must account for the possibility of Flip Flopping. I'm flip flopping on flip flopping! Time really doesn't change. This is a strange saying. A misnomer. However, it's easy to see the circumstances in which ideas are formulated, conclusions based, and actions taken change. Whether it be social values, Constitutional amendments, demographic shifts, economic climate, the circumstances of a decision are important predicates of those decisions. Therefore, I understand why a person -- a candidate -- may support a position, legislation, or an ideology that is different from that of the past. The premises for one's views are different. So, it's logically consistent to have a different position because of the changing hypotheses. Hence, there's a logical explanation for a flip flop. So, I found my rigid values against flip flopping now suspect. I've flipped flopped! Technology changes at a remarkable pace. Some say exponentially fast. Hence, the premises we make with regards to technology are constantly changing. Consequently, the conclusions we draw and the opinions we have should also be changing with changing technology. Even so, sometimes we "dig in" and stick to our guns on ideology. I think this is wrong. We must adapt. The "pendulum of technology" swings wide, but not necessarily fast. Examples are rampant. Thin clients vs fat clients. Cloud computing/storage vs. customer premise ownership Waterfall SW development vs. Agile. Consumer applications vs. enterrprise solutions. Out-of-the-box software vs. custom configured solutions. Lots of processors vs. more memory. Fast networks vs. big processors. My favorite: Compile time typing vs. runtime typing. For years I've clung to the value of strong typing. At compile time. It's not hard to see why -- in my formative years at the University of Washington going to Xerox, Bell Labs, Sun Microsystems, and BroadVision, strong typing, early typing, compile time object hierarchies ruled my thinking. From Pascal, Eden, and Emerald to Mesa and C++ to CORBA/IDL and then Java, strong compile time typing provided the basis for sane system design. Creating "contracts" through interfaces that hid implementation seemed to be the path to software safety and scalable systems. It's certainly served me well. But, it is clear what would happen; programmer productivity, the safety resulting from interpretation, and garbage collection would rule supreme. Compile time typing was dead. Long live dynamic typing and interpreted languages. Indeed, the web was built this way. Flip flopping, I've since deployed systems in Python, joining the bandwagon. The pendulum has swung far right. We're all on the Python/Ruby/php bandwagons. However, I sense a change back to the left afoot. Strong typing, compile time typing, type safe languages will have their day in the sun again. And we'll all flip flop again. Does my technology example shed any light on Romney and his values? Maybe. However, I suspect his flip flopping is rooted in something different -- the formulation of positions based on the process of a consultant. More coming...And, expect even more flip flopping in the future. 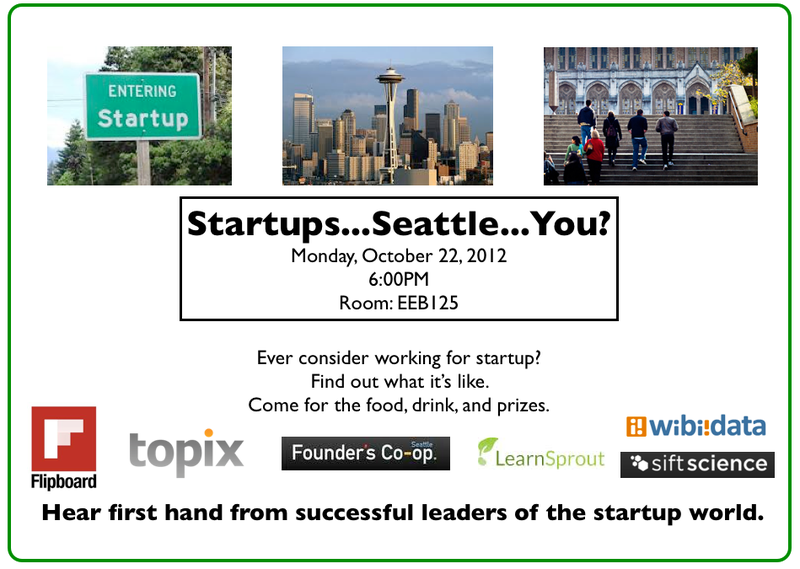 Last night, I hosted "Seattle...Startups...You?" A gathering to help students at the University of Washington (especially those in the Computer Science & Engineering Department) understand why they might want to join a startup or start one on their own. As previously noted, while students have great exposure to great big tech companies, we wanted to introduce them to why a startup (in Seattle) might be a fun, exciting, and rewarding alternative. We did this in conjunction with the department career fair and Industrial Affiliates meeting. While I had hoped this would be a good, informal gathering, we were well "oversubscribed" -- we were counting on 50 students showing up -- over 100 packed the room, from the CSE department as well as others. I'm sure the great food sponsored by Flipboard and door prizes sponsored by Topix (Thanks to both!) helped, but initial feedback from students show that we've provided great information that students want. Thanks to all presenters and attendees. It was a great event. I hope this week is a fruitful career fair and Industrial Affiliates Meeting! BTW, if you are a company that wants to know more about the UW Computer Science & Engineering department or want to recruit out this department, consider becoming a University of Washington Computer Science & Engineering Industrial Affiliate. It's a great program and the UW CSE is a great department! The Computer Science & Engineering Department at the University of Washington is one of the best in the world. Led by Hank Levy, David Notkin, and Ed Lazowska, this department competes with the best of the best -- Stanford, Berkeley, MIT, and CMU. Recent hires reflect the awesomeness of CSE and project where this department is going. Of course, I'm biased; I've spent time here as an undergraduate, grad student, Visiting Scholar and now Visiting Faculty. I'm proud to be able to stand near such talent. Over the years, I've recruited out of this department. In addition to great researchers, great engineers have also emerged from the ranks of its students. Jeff Dean, Greg Badros, and Christophe Biscalia are only a few great people that recently did time here. So, it's fertile ground for finding talent. However, when working at a startup, I've often found it difficult to recruit at the UW. Why? Because it's been tough to compete with the Microsofts, Amazons, Googles, and Facebooks. A small company gets lost in the noise and the sheer mass of big companies. Thankfully, the department is recognizing the value of startups in the tech ecosystem and it now is actively promoting startups to students with a special career day. (This Tuesday, October 23). Everything you wanted to know about startups but were afraid to ask. I'm sure many of you, including me, have pondered grand questions such as "What is the origin of the universe?," "What is the meaning of life?," "Why is there something rather than nothing?," and "What happened before the Big Bang?" But, in all likelihood, you only managed to scratch the surface of the surface of such questions. Perhaps you have come to some satisfying nonsecular conclusion along the lines of "God." Or, you were left unsatisfied that you'll never know. Well, today, we presumably know more. Unless you've been living under a rock without Internet access, you know that scientists at the CERN research center have announced they have evidence of the Higgs boson. Confirmation of the existence of this particle fits in nicely with some current theories on the order of the universe. As an armchair scientist, this is quite exciting. However, on personal level, I've had mixed emotions. I knew this day was coming. Well, at least I was pretty sure. But, for my entire lifetime, I've been taught differently. That, even with the discovery of the Higgs boson, something was missing -- an accounting for gravity. Way back, I was interested in gravity waves. I thought I could generate gravity waves and detect them using some sensor to detect them to prove gravity waves exist. I was going to generate gravity waves by rotating a massive cylinder. I thought this will generate gravity waves but I hadn't figured out what I could use for the sensor and therefore I didn't know how strong a wave I needed to generate so that I could detect it and therefore I didn't know how big a cylinder I needed nor how fast I had to spin it. I would have been very disappointed if the universe is filled with something like Higgs Boson. Then I think "mass" could be made from gathering Boson particles, not from what I thought is more elegant mechanisms like "Geon" which is a trapped photon within its own gravity field. 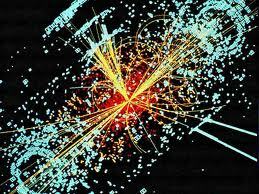 If "Higgs Boson" or something like it is responsible, all one has to do is find them like all other elemental particles physicists were looking for in accelerators and still are. I personally would have found no fun in that. When I wrote this, I thought about my adviser. (Couldn't remember his name. He had only one ear lobe.) Fun days. My dad died later that year, never knowing for sure whether the Higgs boson existed or not. Though I didn't know it growing up, I've realized that my dad was in search of the Theory of Everything. Yes. Everything. That's a pretty big audacious goal. Sure, maybe it's something you think about occasionally. But my Dad "went deep," based on science and math. For a long time, I thought he was only in search of a Grand Unified Theory. Big in its own right but clearly smaller than a Theory of Everything. In the late 1950's/early 1960's, he was about to take an appointment at the Institute for Advanced Study, when he realized that the University of Washington wasn't quite the right place to study theoretical physics. But alas, he and my mom got married, had a child on the way, and decided that such intellectual pursuits didn't quite fit in. So, he settled on fighting and winning the cold war. But that's another story. I find it quite tantalizing to think what if my father had gone to IAS to find a Theory of Everything. Would he have figured out how gravity fits in with electromagnetic, weak, and strong interactions? Sure, Albert Einstein was all ready dead and he couldn't help. But Kurt Godel was still there. Would he have worked with him to unravel the mysteries of the universe? Or prove that we really can't understand the mysteries of the universe? After all, in 2002, after considering Godel's Theorem on Incompleteness, Stephen Hawking declared a Theory of Everything impossible. I find this all deliciously satisfying because of my personal intrigue with Godel (as many of you know). Or maybe I'm just a boy proud of his dad. 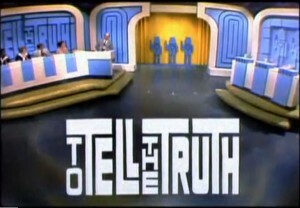 Would my dad really be disappointed today if were alive to hear the CERN Large Hadron Collider results? I've been pondering this for more than a few months. Would his beliefs for understanding the universe be invalidated? I think not. In many of the announcements and commentary on the discovery of the Higgs boson, there seems to be an acknowledgement that gravity is "outside of the model." I take that acknowledgement as a "hat tip" to those in search of an explanation of gravity, including my dad. And despite his potential disappointment that the universe might be less "elegant" with the Higgs boson, I believe he "moved the needle" in our understanding of the universe. That makes me proud. Rest in Peace, Dad. I know that this is a usually a non-secular wish for those that have passed. And, in the name of science, it doesn't quite make sense. However, ironically, I think I can say this, both figuratively and literally. Happy Belated Father's Day, Dad. It's Flag Day. What better day than to remember and reflect on the rights guaranteed by the United States Constitution and its Amendments. Especially the Bill of Rights. o be twice put in jeopardy of life or limb; nor shall be compelled in any criminal case to be a witness against himself, nor be deprived of life, liberty, or property, without due process of law; nor shall private property be taken for public use without just compensation. VI. Right to a speedy trial, witnesses, etc. confronted with the witnesses against him; to have compulsory process for obtaining witnesses in his favor, and to have the assistance of counsel for his defense. In suits at common law, where the value in controversy shall exceed twenty dollars, the right of trial by jury shall be preserved, and no fact tried by a jury shall be otherwise reexamined in any court of the United States, than according to the rules of the common law. Jing Jing has been a favorite Chinese restaurant in Palo Alto for nearly forever. Well, at least since the closing of Louie's. It's sort of a famous nerd hang out from yesteryear. We'd go there all most every Friday for lunch. Years have passed and the gatherings have waned. I'm trying to resurrect the weekly gathering. Unix to the rescue? The jj utility is an invitation for a sharing a meal at Jing Jing. It takes each user and records them as the proposed attendees. If no users are specified, it is an open invitation for anyone. -d The date of the event, specified as DD-MM-YYYY. If no -d argument is given, today is the default date. -t The time of the event, as specified as HH:MM, in 24 hour time. If no -t argument is specified, 11:55 is the default time. -s Use the Wayne standard meal specification. The standard specification is parameterized by the number of users specified. -r list is a quoted string specifying requests for dishes in addition menu items that might be included in the -s specification. Commas separate dish items. Note that the -r list is a heuristic only. -h Hiptard mode. If -h is specified, utility is applied to Mission Chinese, not Jing Jing. -a An identifier for this request. If there is a previous identifier on the given date and time, users are appended to the jj request all ready identified. -o Old codger mode. Print a random famous Palo Alto restaurant story to stdout. Example: A Digital Equipment salesman dining at Louie's is loudly arguing with an engineering manager about the cache architecture of the KL 10. The waiter, after taking their order, says beneath his breathe, "It's a 32K two way set associative not direct mapped cache" and scurries away. The salesman is left with mouth hanging open -- what could the waiter know? Turns out the waiter was Jeff Rubin, a systems programmer at the Stanford AI Lab, working as a waiter in exchange for Chinese lessons. Since id in the -a argument is user generated, ids are not guaranteed to be unique. Users specified are only people that have been requested to attend not those actually attending. The -s calculation may compute an undesired result because of the difference between those invited and those that actually attend. 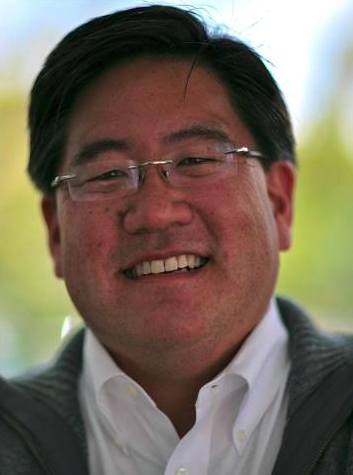 Serial entrepreneur, Wayne Yamamoto, is quietly embarking on a new parallel "hobby." Investing. While merely a side show to his day job as CEO/Executive Director at Charity Blossom, he, like many successful entrepreneurs, dabbles in early stage investing. Today, given the availability of some Facebook (FB) shares, he astutely went "all in." But, he quickly "got out" within a few hours. We can't confirm the exact execution of the trades, but we speculate that he was in at $38/share (the IPO price) and out at $41/share. While this is only a 7.89% gain, on an IRR basis, it's been noted that this is over a "GOOGLE (sic) percent a year." To put this perspective, returns of 50%/year on a IRR basis would easily qualify a VC or Private Equity fund as a top 1% fund. Unless you are a limited partner or insider you will probably never know the actual returns on a VC or PE fund. But it's pretty safe to say that even "rock star" investors such as Ron Conway, Jim Breyer, or Alex Lloyd will not see this kind of return in aggregate. While many note that FB may still have some upside, this kind of IRR will probably never be seen again. We may never know the exact numbers of the gains made by Mr. Yamamoto. Perhaps subsequent filings such as the Facebook 10K may reveal such information. However. he was reportedly seen filing a Form 911 at the local Porsche dealer. We'll try to extrapolate from this to understand the magnitude of this deal. Stay tuned. In a short statement, Mr. Yamamoto said, "I'm not a professional investor. My job is to build successful companies and organizations. But, some investments are just no brainers." Indeed, Wayne is noted for being an early engineer and VP of Engineering at Broadvision (which he helped grow to a publicly traded company with a $20B+ market cap) and is the co-founder of MerchantCircle, which was sold to Reply! for $60 million last year. Disclosure: The author is still long on FB. 2012 marks the 100th anniversary of the birth of Alan Turing. 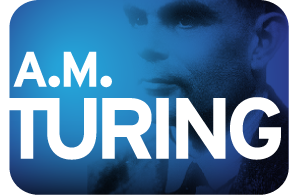 Arguably he is the most important computer scientist ever, and the ACM A.M. Turing Centenary Celebration will be held June 15-16, 2012 in San Francisco to commemorate his birth. This will be an amazing event. Thirty four Turing Award winners will be attending. The first Turing award was given for the year 1966 (46 years ago), so having 34 award winners in the same room is remarkable in its own right. For those not in the field of computation, winning the Turing Award is our industry's equivalent of winning a Nobel Prize. For those of you in the field, if you are are not desiring to attend this event, I just can't take you seriously. 10. "Hint for Computer System Design", Butler Lampson. 9. 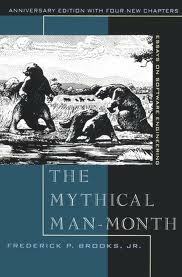 "The Mythical Man Month," Frederick P. Brooks. 8. "Bayesianism and Causality, or, Why I Am Only a Half-Bayesian," Judea Pearl.